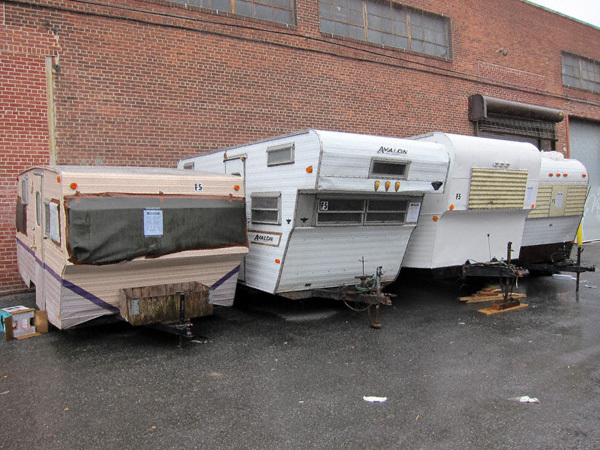 …About 25 plaid-clad pastorals hitched their trailers to a dream in a former nut-roasting factory on Meserole Street in 2009 — paying a mere $600 a month for rent and utilities. The collective’s creatives were drawn to the vehicle village’s video editing and painting studios, wood and ceramic shops, free-range chicken farm, fish pond, and of course, the BBQ. UPDATE, 4:51 p.m.: Yours truly and the Mister went to India Street to check in on our trailer park with a view. 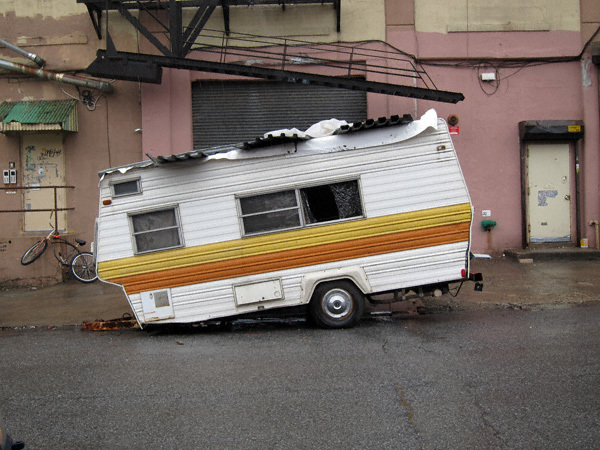 It would appear one of these campers has been commandeered by our local vagrants. Mere breaking and entry or a cutting edge counter-proposal to the homeless shelter slated for 400 McGuinness Boulevard? I’ll let you, dear readers, make the call! 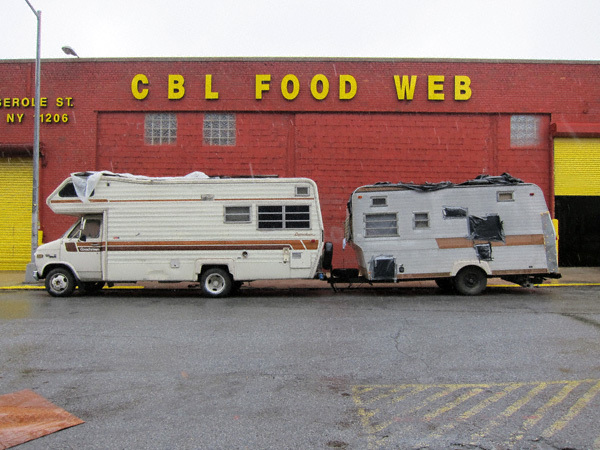 One Comment on Quicklink: Trailer Trash! I just got to this post and its follow-up. Brilliant You Tube videos!